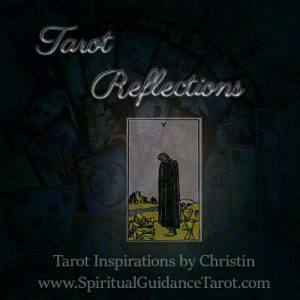 Tarot card number 10 speaks of the end of a cycle of destiny, something that has come to its conclusion and now growth will occur from this point, or in a new direction entirely. When a lot of ten’s appear it suggests the process where we settle up loose ends and make a conscious decision to leave the past behind and move forward. It’s a time of reaping rewards for past efforts, but can also be a period of challenge for those who perhaps persisted on a destructive path or didn’t make necessary changes before. In some manner, the rewards and/or consequences from before are manifesting now and the impacts are being felt. It’s also a good time to plot your next move or consider areas where it may be best to move in a new direction from here on. If what has been previously established has served you well, build on it from here. If not, consider what changes may be necessary to get you back on track again. Five’s in Tarot tend to signify inner struggles, restlessness, feeling a sense of urgency to resolve something. When these cards come up it reminds us that it is important not to cast those feelings aside until they build up into anxiety or feelings of depression or being lost. 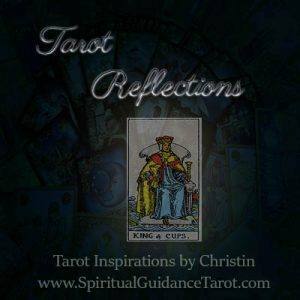 The 5 cards are kind of an emotional caution signal, telling us to get in touch with our true needs and work to meet them. Five’s can also come calling when we are bored or unfulfilled on our path. Boredom often mimics the symptoms of depression. “But, I’m always busy” I can hear you proclaim ;), but busy doesn’t necessarily mean not bored. When five’s come up it says to be very honest with yourself. Take some time to untangle those emotions/thoughts and look at your situation more objectively. Are you maybe staying busy with too many mundane things to avoid facing something? Perhaps you would benefit from better time management or organization so that you can free up some time to do something you find fulfilling. This card has a sad appearance. In this card, the man is standing by the river looking very dejected and tired at the three cups spilled in front of him. He’s so caught up in these emotions of loss and defeat that he is unable to turn around and see what is right behind him. Behind him, just a bit down the path lie 2 full cups and of course, the entire river. This card reminds us that sometimes when our mind is full of all we “think” we want or need, or when we become stuck in regrets over the past, it makes us unable to turn around and see the opportunities that lie before us. We have a choice, we can remain stuck in the past or we can choose to make the most of new opportunities. If you feel held back by something; this card reminds you to make a conscious decision for a fresh start. An open mind leads to many pleasant surprises and opportunities that can’t be found if we don’t turn to look for them. The King and Queen cards always speak of leadership, positive personal expression, but also working for the good of all around you. This particular King represents those who have deep emotional lives, sometimes complex/conflicting emotions that may need to be balanced so that more objective choices can be made. When this King comes up he reminds you to work towards peace by making it a priority in your life. We can’t always change our circumstances and other people will be who they are etc. however, we can choose to live an empowered life by recognizing our choices and how they affect us personally and also those around us. We can choose to pour our passion and emotion into a “good cause” and choose peace rather than succumb to anxiety, petty quarrels and the like. Today’s card is a two and one of the main themes of any “two” card is choice and balance. Have you ever been facing a difficult choice where you had to consider seemingly opposing choices? Or have you ever had to carefully weigh all of your options to ensure that you are making a balanced decision? Our choices rarely affect only ourselves so weighing your choices as the fellow in this card is doing makes perfect sense. 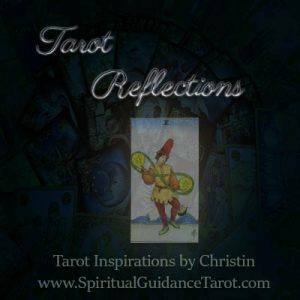 Two’s in and of themselves in Tarot speak of such decisions where you have to weigh what is best for your overall well-being long term – and sometimes those choices are tough and not so simple as they would seem on the surface. Sometimes they require compromise and/or a willingness to accept some risk and take a chance. Choice and change, however, are always what lead to new experience and growth! This card like all two’s speak of decisions to be made/choice and of balance. This particular card speaks of balancing one’s personal and spiritual needs with the needs of the material realm. It often comes up around those contemplating career changes or concerns and says to take a balanced approach in this area as well. Sometimes we focus our goals solely on financial gain and as a result, we end up in careers that don’t challenge or inspire us enough personally. The opposite applies, sometimes we have to do what is “practical” in order to meet our physical needs, however, there is still a need to balance those duties/obligations with time spent on yourself. In regards to choices, this two tells you to make a well-balanced decision. In this card, the man is weighing the two coins, balancing them back and forth in his hands. They are surrounded by the infinity loop. This card reminds us that often our choices have long-term and even lifetime implications, so carefully consider and make balanced decisions. This card symbolizes deceptions, depression, and all that is associated with them. The scorpion rises up out of the water (emotions) and is poised to strike. Often our emotions and feelings of being overwhelmed can sting like this scorpions bite, without much warning. It is in these moments we are called to remember the power we have to choose how we act/react. Our power lies in our ability to carefully choose our actions, what we will believe etc. There is a saying that says “To worry is to pray for what you don’t want”. When we focus on hardship we bring more of the same to our lives through the law of attraction. Learn to take charge of your reactions and don’t be overcome by circumstances. This too shall pass. 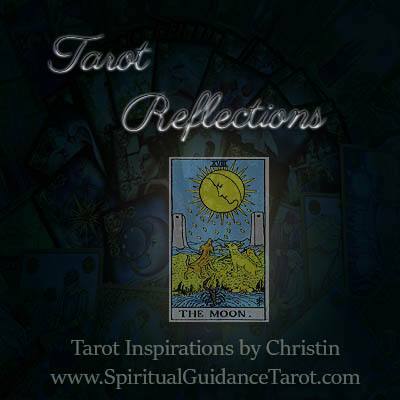 The moon speaks also of intuition – that ability to sense/feel what is going on, but in a way that is not clouded by fear and judgments. Learn to listen for this still, small place in moments where it feels emotions may overwhelm you. Be a good friend today to someone in need (perhaps even yourself) who needs an objective person to listen and empathize. Use your emotional/intuitive side to benefit others. If you feel someone is in need of something you can provide aid that person. If you are in need of some down time to clear your head, take some time for yourself to do just that. Take anyone’s overreactions or overemotional displays with a grain of salt. We all have those days where our emotions get the better of our sound judgment. Be careful you aren’t the one overreacting too ;).